Seventy percent of people sleep on their side, but mummy bags are not designed to accommodate this. 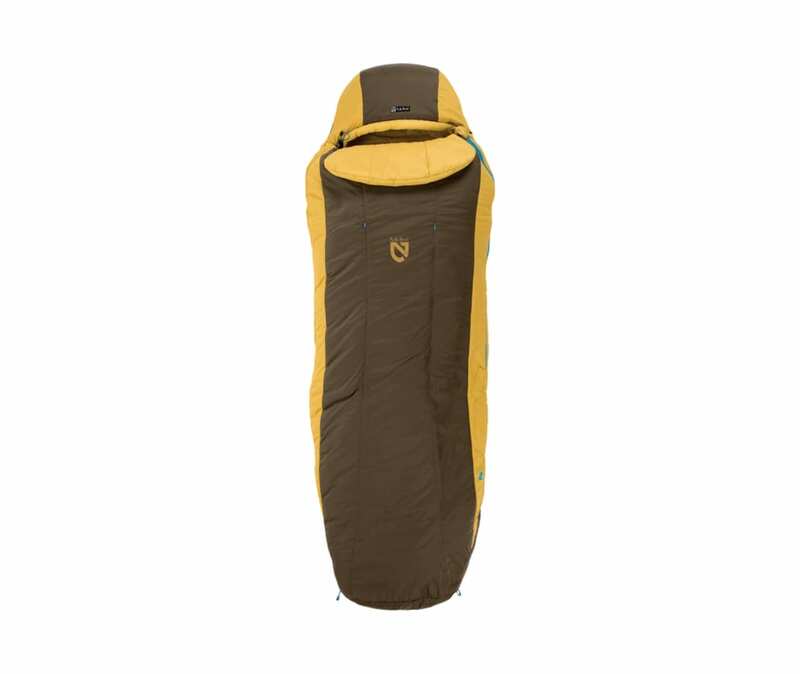 With a unique Spoon shape, adding room at the elbows and knees, the Forte is a three-season synthetic mens backpacking bag that is designed for side sleepers, and allows you to shift positions throughout the night. The Forte has some of NEMOs most popular features, including Thermo Gills that help regulate temperature during the night and Blanket Fold which provides tucked-in comfort. With an included cinch sack, the Forte packs down nice and tight for all your adventures. Zip together with the Women's Viola for a double bag. Insulated with premium synthetic Stratofiber, offering the best blend of warmth, moisture resistance, and packed volume. Integrated pillow pocket allows a jacket, extra clothes, or a Fillo to be stuffed into the sleeve opening for a handy pillow-on-the-go.